I’ve been tinkering with the idea of a brain/social class for a long time. 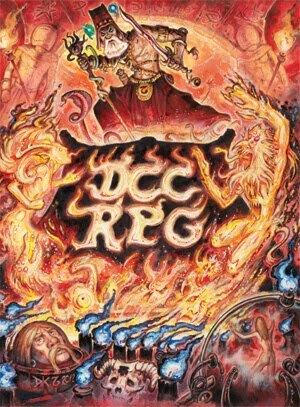 My first version was for OD&D and the second was for DCC RPG (although this last one is part spellcaster and so not a “true” brain/social class). The idea was of a character class that represented heroes from cinema and literature that triumphed through cunning, influence and/or sheer intelligence. 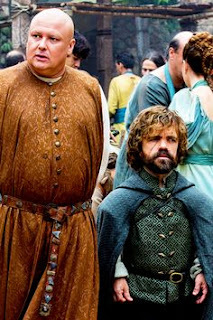 Famous personages like chevalier Auguste Dupin, Sherlock Holmes, Tyrion Lannister (or Samwell Tarly), Croaker from the Black Company, Loial from Wheel of Time, the brilliant (and insane) Tehol Beddict from the Malazan Book of the Fallen, Toturi Naseru from Legend of the Five Rings, a Mentat from the Dune Universe or even Thrawn from Star Wars (OK, he’s a villain), maybe mountebanks like Cugel the Clever or even perhaps the Joker from The Dark Knight movie (a chaotic evil Mastermind). Masterminds are peerless detectives, famed sages, loremasters, scheming nobles, sly courtiers and mischievous scoundrels. Characters whose main weapons are knowledge, intelligence, connections and resourcefulness. Although modern media has martially empowered many of those personages (like Guy Ritchie’s Sherlock Holmes movies), the core concept that always fascinated me is that these are heroes (and villains) that usually win without violence/strength (or sorcery, psionic etc.). Many modern RPGs have created great rules so that playing these ultra-smart and charismatic characters is not only possible but fun. I tried to avoid supers RPGs (Aberrant, Adventure! and Wild Talents have great hyper-intelligence rules) and games that employed “social combat” rules (although I like how they’re done in Burning Wheel, A Song of Ice and Fire and the new World of Darkness). There’re also some good d20 RPGs that created social/manipulation mechanics, like A Game of Thrones d20, Iron Heroes (check out the Social Feats) and the awesome Fantasy Craft. 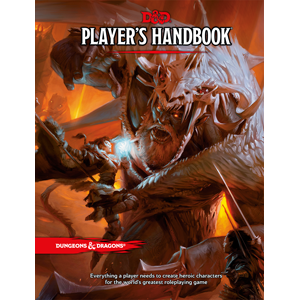 Even D&D toyed a little with improving social rules – with a few but good feats in the Player’s Handbook II for 3.5. 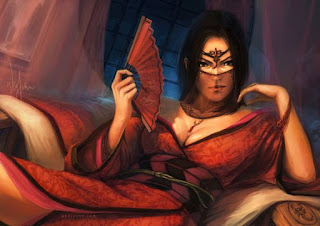 I also liked (but changed a lot) the Courtier class and feats from Rokugan d20 and the original Noble class from the Dragonlance 3.5 Campaign Setting (which motivated my homemade Noble class for D&D 3.5). While it isn’t a purely social class, I love D&D 4E’s Warlord class concept – it doesn’t rely on magic to accomplish its role (and here’s my homemade and probably overpowered version). More recently, Cubicle 7’s Adventures in Middle-Earth Player’s Guide (for D&D 5E) has some flavorful mechanics for social/sage characters (check some of its Virtues and its Scholar class) in d20 – inspired in their equally awesome The One Ring. One important exception in the references above is the Pathfinder Ultimate Intrigue book: I didn’t read it (yet). In part because I had already written a sketch or two of what would be my Mastermind class. I really wanted to see what directions I would take uninfluenced by Paizo’s “social” book. After posting this I can finally open my copy. OK, now about direct inspirations for this class. I must quote Legend of the Five Rings 1st Edition (the first RPG that showed me really cool “social powers” and classes), Spirit of the Century (specifically its Stunts), Neoclassical Geek Revival (for its uses of social damage) and Apocalypse/Dungeon World (for mechanics built around questions and dialogue). By now it’s best to warn you: this is a very unorthodox, probably overpowered and perhaps unplayable Base Class for Pathfinder. I still didn’t have time to playtest it. The class plays with lots of rule that are within my comfort zone (like the Plot Twist Cards) but that maybe are “un-Pathfindery” for most. The Mastermind also plays with a paradox – it’s a non-fighting, non-spellcasting hero, for a game built upon fighting and spellcasting heroes. It uses mechanics that depend heavily on GM fiat and trust, which also goes (a little) against the consensus of Pathfinder/D&D (which are games built for tournament-style adventures and tactical resource management – traits which are both usually reinforced by an impartial referee instead of the storyteller/narrator encouraged by many class features below). Well, for me at least, D&D/Pathfinder was never synonymous with tournament-style games (much less with the view that the referee could be some kind of “adversary”, challenging the player characters to survive his dungeons/adventures). Books like Cubicle 7’s Adventures in Middle-Earth follow a similar philosophy. So, yeah, this is a bizarre class and I hope it can give you some ideas. The Mastermind's class skills are Appraise (Int), Bluff (Cha), Craft (Int), Diplomacy (Cha), Disable Device (Dex), Disguise (Cha), Heal (Wis), Intimidate (Cha), Knowledge (all) (Int), Linguistics (Int), Perception (Wis), Perform (Cha), Profession (Wis), Sense Motive (Wis), Spellcraft (Int) and Use Magic Device (Cha). The following are class features of the Mastermind. Weapon and Armor Proficiency: Masterminds are proficient with all simple weapons, plus the hand and light crossbow, rapier, sap, shortbow, short sword, and sword cane. They are proficient in light armors, but not shields. Talkers Go First (Ex): A Mastermind knows that the right word can change the balance of a conflict. At the 1st round of any combat, a Mastermind gains a special standard action before every other character that he’s aware of. This works like the Surprise Round rule. However, a Mastermind can only use his standard action for a Charisma-based skill check or for Mastermind class features marked with a “*” (some of these class features are in fact free actions and so they can be used together with a Charisma-based skill check). If there’re other Masterminds present at combat, they all can use Talkers Go First, following the Initiative order rolled among themselves. Dangerous Tongue (Ex): Although Masterminds aren’t warriors, they more than make up for with a keen intellect and sharp observations. No two Masterminds use Dangerous Tongue the same way: an old courtier could improve his ally’s fighting pace by providing tactical advice, while a temptress could confuse a barbarian enemy with a seducing smile followed by a witty remark about his virility. Dangerous Tongue can be used once per round and requires only a move action (but the see below at the Offensive Mode). A Mastermind can use Dangerous Tongue a number of times per encounter equal to 1 + his Intelligence modifier, to a minimum of once per encounter (if an encounter is particularly long, the GM can refresh this ability approximately at every 10 minutes). The class feature has an offensive and defensive mode. Dangerous Tongue [Offensive]: When activated, the Mastermind must choose an intelligent (Int 3+) target at 30 feet that can either see or hear him. A common language isn’t necessary if the target shares the same type or subtype with the Mastermind. For example: a Gnome Mastermind could easily provoke a Human, Orc or Giant – language barriers are irrelevant. The mechanical effect of Dangerous Tongue [Offensive] is that the target loses focus, spends energy futilely, opens his guard or even hurts himself a little in the process due to the Mastermind’s influence upon him. In other words: his combat effectiveness is reduced. This represents a wide range of cinematic and literature “social attacks” clichés – taunts, verbal feints, threats and even seduction (the Dangerous Tongue trapping or style is chosen by each the Mastermind). It could even represent mundane mesmerist techniques or advanced semiotic knowledge, if that’s your kind of flavor (are Bene Gesserit are probably Monk/Psychic/Mastermind characters?). In the end, the mechanical effect is the same: the target suffers a special type of nonlethal damage called stress damage. At 1st level a Mastermind deals 1d6 stress damage each time he uses Dangerous Tongue, increasing it by 1d6 for every even Mastermind level thereafter (to a maximum of 10d6 at 18th level). Stress damage works like nonlethal damage, except that it automatically affects any intelligent creature and that it can’t provoke the Staggered or Unconscious condition. In other words, you don’t need to keep track of stress damage separately from nonlethal damage. But stress damage “stops” one point short of leaving a target Staggered or Unconscious. An example of Dangerous Tongue used offensively: a 3rd level Gnome Mastermind babbles a barrage of dwarven curses mixed with tactical corrections about his enemy’s fighting style (or lack of it) against an already raging Dwarf Barbarian. The Dwarf Barbarian has only 6 hit points left and the Gnome Mastermind inflicts 7 points of stress damage. This leaves the Dwarf Barbarian with 6 hit points and 5 nonlethal damage points (remember, suffering 6 or 7 nonlethal damage would leave the Dwarf Staggered and Unconscious). In the adventure, the Gnome Mastermind has turned the Dwarf Barbarian’s rage against himself, leaving the warrior mad with fury, tumbling and hurting himself in his wild efforts to reach the little fey. Because Dangerous Tongue only requires a move action, the Gnome can attempt a small but precise attack to knockout the dwarven brute. Against targets with a CR 4 points or higher than the Mastermind’s class levels, or with an Intelligence 6 points higher than the Mastermind’s Intelligence, Dangerous Tongue [Offensive] requires a standard action. It’s just more hard to get into the mind of powerful or considerably smart adversaries. Dangerous Tongue [Defensive]: When used to help his allies, the Mastermind’s timely counsels can help them to mitigate the worst strikes of their enemies and to keep watch against other threats. In game terms, the Mastermind provides a special pool of temporary hit points to the targeted ally. These temporary hit points follow the normal rules and are gone after the encounter ends (or after 10 minutes). Companion (Ex): At 3rd level a Mastermind gains a trusted companion or loyal sidekick, as if she has gained a cohort from the Leadership feat (and just a cohort). The Mastermind can still buy Leadership to attract a second cohort and followers. Master Plan (Ex): At 5th level, once per day, a Mastermind can spend a few minutes talking with his allies before an encounter. After that, at any time during the encounter, as a free action, the Mastermind can roll a special Knowledge check. The result generates a communal pool of points shared by the party. During the encounter, after rolling a check but before the GM announces the result, any member of the party can spend points from the Mastermind’s Pool to gain an equivalent bonus to his ability or skill check, attack roll or save (maximum +20). Master Plan can be used an additional time per day at 9th level and every four class levels thereafter, to a maximum of 4 times at 17th level. Behind the Scenes (Ex): At 7th level, a Mastermind’s uncanny attention to details, resourcefulness and tendencies to plan ahead seem to border on the supernatural or absurd. It’s like the Mastermind has made a pact with Fate (or some dark power). At the beginning or during an adventure (but never more than once every other game session) a Mastermind can draw one Plot Twist Card. At 19th level, a Mastermind can draw a Plot Twist Card twice per adventure (but still never more than 2 cards every other game session). These Plot Twist Cards gained through this ability are removed if not used until the end of the adventure (GM’s call) or after two game sessions. Backup Plan (Ex): At 9th level, a Mastermind can, once per game session, activate his Master Plan class feature during any encounter without the need to talk with the party before of it. At this level, a Mastermind probably concocted one or two backup plans just for situations like the one the party is facing. - Ignore the enemy’s DR for one damage roll. - Have a safe escape route! The party gains 1 full round to scape without the need to use Withdrawn and a clear direction to run. If the Mastermind spends money and reasonably justify it, he can choose to spend all the Pool points to pull out something like a teleport scroll (even after paying for it, the Mastermind will own a debt to them item’s original owner). - Change one aspect of a single action or event; like the target of a spell or attack; the point of origin of a spell (even a gate or teleport); you can even change the spell or ritual being cast (again the GM has full veto over this – very – open-ended option. It doesn’t matter which option is chosen, the Mastermind must succinctly explain why this was all part of his plan and how he made things happen (in a broad and general way). Think about how Professor Moriarty, Sherlock Holmes or even Batman reveals the final twist of their masterpiece and just follow suite. If the GM and the table are not satisfied, they can help the PC to improve the Checkmate, but it must be done quickly so as to not disturb the game. If a middle ground can’t be reached, the GM is encouraged to use the simple forms of this class features (one automatic success or failure). A NPC can only be targeted by a Checkmate once. After executing a Checkmate, a Mastermind always own favor to someone or must do a quest to settle the consequences of such far reaching and complicate scheme. The GM can freely increase the cost and consequences of entertaining (but absurd) plans. The idea is that the Mastermind can be the GM for just one action or round. This ability should be fun for the table and not a source of discussion or a way to end the adventure in a dull or boring way. Use it wisely. Finally, Checkmate spends one daily use of Master Plan. Always Prepared (Ex): A Mastermind always come properly equipped to face a problem. If a Mastermind has enough money, he can declare at any moment during the game that he bought equipment just by paying its current local value. 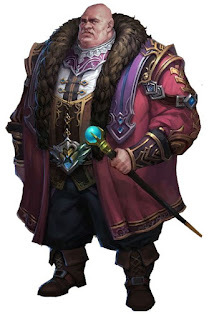 For example, after a hard combat, a Mastermind – foreseeing the party’s need – might draw a healing potion from his backpack by paying its normal and local GP price; or fetch a silk rope when the party’s rogue loses his climbing pack. The revealed item must fit within the Mastermind’s possessions (like his backpack) or must be something that, for example, the party could have been carrying in their mules since their last stop at a civilized outpost (bags of holding or portable holes have a huge impact on this Talent). If the revealed item is something that the Mastermind was theoretically carrying with himself, it can’t be too heavy or cumbersome to affect his movement or skill checks. The GM has the final word and common sense is advised. Ars Memoriae (Ex): Memory isn’t a problem for the Mastermind. Unless teleported or transported unconscious, a Mastermind can always trace back the party’s step (labyrinths are no problem either). He can easily remember codes, number sequences, letters, small books and even a map or two. When in doubt, consider that a Mastermind can accomplish one uncanny deed per game session. Finally, even if a Mastermind fails an Intelligence, Knowledge or Gather Information (Diplomacy) check he always remembers where he can get the right information or clue. Barrier of Words (Ex): Masterminds can be quite irritating. As an immediate action, when attacked by an opponent in melee, the Mastermind can spend one use of Dangerous Tongue to force disadvantage on one attack roll against him. The target must roll twice and pick the worst result. *Before It Happens (Ex): Once per day a Mastermind can, through logic and observation, predict that a course of action will fail and take another approach. In game terms, after failing an ability check, skill check or attack (but before the GM narrates the result), the Mastermind can “go back” and attempt a different action. For example: after trying to threaten a city officer (Intimidate skill check) and failing, the Mastermind activates this Talent, explaining that he predicted that the veteran city guard was too tough to be easily scared, so now she’s trying to bribe him instead. This Talent can be bought more than once. Brains over Brawn (Ex): A Mastermind maybe not fight properly, but he can use his intellect and exceptional awareness to fit a cane in the right place for a trip, or to force an opponent to break his own weapon by sidestepping and making the weapon hit a harder surface. A Mastermind’s CMB and CMD for Disarm, Sunder, Trip, Dirty Trick, Reposition and the Steal combat maneuvers uses the Mastermind’s class level instead of base attack bonus and Intelligence instead of Strength of Dexterity. Finally, Sunder attempts made by the Mastermind use the enemy’s own damage roll to determine if the weapon was broken. Requisite: Cunning Opportunity. *Courtier (Ex): A Mastermind can read a power structure like an open book. 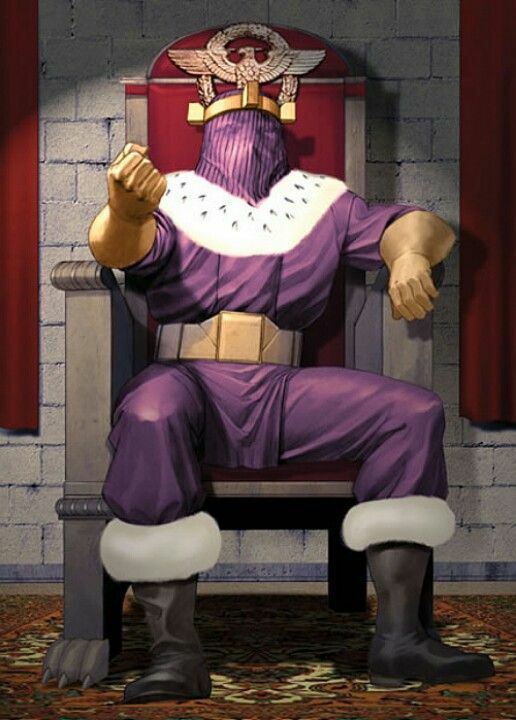 When a Mastermind enters for the first time at a court (be it the local lord/mayor’s room or the royal chambers itself) or when he first meet with an organized party (soldiers, bodyguards, a party of knights or crusaders etc. ), he gains one free Diplomacy check (DC 15). - What does the leader wants? - What do most of the leader’s followers want? - Who are their enemies? - Who the leader considers, among those present, his enemies? - Is there any power struggle happening? - (If you picked the above question) What are the factions? - (If you picked the above question) Who are their leaders? - (If you picked any of the last two questions) Which faction is winning/losing? Cunning Opportunity (Ex): After failing an attack roll, the Mastermind gains an additional standard action that can be used to attempt an aid another, skill check or one of following combat maneuvers: Disarm, Sunder, Trip, Dirty Trick, Reposition or Steal. Cunning Opportunity can’t be used two rounds consecutively. - You can use Disguise instead of Gather Information to find clues or persons connected to a city’s criminal underworld. If you’re using the Settlements in Play rule from the Game Mastery Guide, you can add a Settlement’s Crime bonus (and just a bonus) to your check. 2) Your return with a rough sketch of the entire place (a general map, without identifying what is each room) and precise details of two room of your choice (number of enemies, traps, secret passages etc.). 3) You disappear from the game, but can return at any moment, as an immediate action, interrupting any action that is happening at the time. You do this by revealing that you’re one the minions or lesser NPCs present in the encounter (probably the one closer to the treasure or goal sought by the party). If your friends are captured you can appear to save them. Requisite: Any Rogue Talent with the word ‘Disguise’. *Fast Friends (Ex): Once per day a Mastermind can use Diplomacy to influence a creature's attitude as a standard action. Genius (Ex): Choose Intelligence, Wisdom or Charisma based skills. You can’t roll a skill check lower than the chosen Ability Score. Requisite: Mastermind 8th. This Talent can be taken once for each Ability Score. *He works for me (Ex): Once every other game session, a Mastermind can declare as his local contact a traditionally hostile humanoid or even an intelligent monster. The GM has the final word and should require further Diplomacy checks or services from the Mastermind in order to gain the contact’s help. If you’re using the Ultimate Campaign’s Contact rules you can consider this exotic contact as initially Wary and with a minimum Risk of 4 or 5. For example: while alone in their cells, the Mastermind could declare the orc jailer as an old acquaintance. Requisite: Network. Haven (Ex): Once per location (but no more than once for every other game session) a Mastermind can declare that he has a safe hideout at a civilized spot or settlement. This place must be something that could reasonably exist within the location, be equipped to restore the party and hide them for about a week, given their general level. As usual, the GM can veto any abuses. Requisite: Wealth. Healer (Ex): The Mastermind is a great herbalist or loremaster in regard to the healing arts. Once per day, he can roll a special Heal check and add his Mastermind class level. The result is the amount of hit points converted to nonlethal damage or the amount of nonlethal damage healed. The Mastermind can also spend 5 points from his Heal check to remove one of the following conditions affecting an ally: Dazed, Fatigued, Shaken, Sickened, or Staggered. Finally, 5 points can be spent to treat diseases, with the target gaining a new save with a +5 bonus. This Talent requires a Healer’s Kit (or similar equipment), spending 5 uses of it and takes anything from 10 to 30 minutes. Inoffensive Appearance (Ex): If the Mastermind isn’t carrying a visible weapon or otherwise acting in a hostile manner, minor NPCs (and most creatures with Intelligence 1+) will ignore him for more dangerous party members. When in doubt, the GM can simply ask for a free Bluff check at the beginning of combat. The Mastermind will be ignored for 1 round for every 10 points the rolled in the Bluff check or until she acts threating (like drawing a weapon). Dangerous Tongue is a threatening gesture. Again, common sense is the more important rule while using this Talent, which was created to reflect concepts like the feeble courtier or the “harmless” princess. *Keep Talking (Ex): A Mastermind speaks so much or employs such devilish conundrums that most targets aren’t aware they’re been fooled until a few moments later. Once per day, a Mastermind can automatic win at a Bluff, Diplomacy or Intimidate check (if necessary considers that he has a +20 bonus). Unfortunately, the effects of the success wear off a round or two after the Mastermind stops babbling. Usually a Mastermind using Keep Talking can keep targets distracted for 1 round for every 3 class levels. Requisite: Fast Friends. Master of Crafts (Ex): The Mastermind dabbles in various crafts with suspicious easy and alarming speed. It takes half the normal amount of time to create any crafted object (including alchemical items). A Mastermind with the Always Prepared Talent can declare, once per game session, that he crafted exactly what the party needed. If the desired item could reasonably have been crafted, the creation costs are paid and the Mastermind succeeds at the Craft check – voilà! Requisite: Mastermind of 3rd level. - Shaken for 1d4 rounds. - Dazed. Will negates. Mastermind must be of 4th level or higher. - Confused. Will negates. Mastermind must be of 6th level or higher. - Staggered. Will negates. Mastermind must be of 8th level or higher. The Will save DC is 10 + half Mastermind class level + Char modifier. Except for Shaken, each condition lasts for 1 round. Network (Ex): A Mastermind knows someone, not matter where. After arriving in a new settlement, caravan point, watch keep or even a lone outpost, a Mastermind can declare that he has as local contact. The NPC should be easy to reach and useful to party. If you’re using the Ultimate Campaign’s rules, you can consider this contact Reliable or Skeptical and the Mastermind can add his class level as bonus to the Negotiation check. The GM has, as usual free veto here (it is hard to explain in some setting how the Human Mastermind knows someone in an isolated citadel of the Underdark). No Loose Ends (Ex): A Mastermind is thorough in his affairs. Once per game session, a Mastermind can declare that he made one simple unopposed action or skill check in a previous encounter of that same game session. For example: a Mastermind could declare that he made a Perception check in a previous room to search for a particular footprint, or that he picked one of the books lying in the ground of the library visited early that same game session. Requisite: Always Prepared. Poison Lore (Ex): A Mastermind cannot accidentally poison himself when applying poison to a weapon. If the Mastermind spends 1 minute physically examining a poison, she can attempt a Knowledge (nature) check to identify any natural poison or a Knowledge (arcana) check to identify any magical poison (DC = the poison's saving throw DC). Lastly, once a poison is identified, she can spend 1 minute and attempt a Craft (alchemy) check (DC = the poison's saving throw DC) to neutralize 1 dose of the poison. Success renders the dose harmless. The Mastermind has no chance of accidentally poisoning himself when examining or attempting to neutralize a poison. *Polyglot (Ex): First, a Mastermind with this Talent always has the Linguistics skill bought at maximum rank for free (if she has already spent skill ranks at Linguistics, they’re returned). Second, a Mastermind can declare which languages he knows during the game, by providing a reasonably excuse about how he learned that particular idiom (the GM, as usual, can veto). Finally, a Mastermind can make a Linguistics check to establish a basic rapport with creatures whose language he (still) doesn’t know. This new skill use allows only basic communication; it’s a slow process and probably requires an equal amount of gestures and loud one-word dialogues. The GM must roll secretly (DCs usually from 20 to 30) to determine if the Mastermind succeed. Polymath (Ex): A Mastermind can attempt any skill check, even if untrained. Requisite: Mastermind of 5th level. One Step Ahead (Ex): A Mastermind can add his Intelligence modifier to his Initiative. Also, every creature lower in the Initiative order must declare his action to the Mastermind. Requisite: Mastermind of 3rd level. Opportunity Remark (Ex): A Mastermind can use Dangerous Tongue offensively as an attack of opportunity. Requisite: Mastermind of 4th level. *Raise the Spirit (Ex): A Mastermind’s aid another action grants advantage. The targeted ally can roll twice and pick the better result. This Talent can’t be used two rounds consecutively. - What or who does the NPC truly wants? - (If you picked the above question) What would the NPC do to get that goal/thing/person? - What or who does the NPC fears most? - What is the NPC’s alignment? - (If you picked the above question) What are the NPC’s classes and levels? - (If you picked any of the last above questions) A clue or basic description to the NPC’s most dreaded secret. Roguish Mastermind (Ex): A Mastermind can buy a Rogue Talent as a Rogue of the same level, if all the other requirements are fulfilled. *Shielded by the Law (Ex): A Mastermind knows that the traditions about hospitality can be more powerful than steel (or the Mastermind always figures it out how to get under a ruler’s protection, even against his will). If the party was received without hostilities by a local lord or leader, the Mastermind can once (and only once per NPC) summon a perfect rule of hospitality or argument that even a chaotic evil ruler must abide. This requires at least a standard action of talking before the court (and usually a minute of more). If the party isn’t caught doing something considered illegal or acting violently, they can consider that they have a few hours to leave the ruler’s domain before any retaliation. Again, common sense is advised (it’s hard to explain why a leader shouldn’t right away execute a party for killing his firstborn, for example). Requisite: Courtier. Scion of Cities (Ex): A Mastermind knows better than none how to navigate through civilizations. If you’re using the Settlements in Play rule from the Game Mastery Guide, you never add Settlements’ Modifiers to your checks if they’re negative. Also, once per day, you can double a Settlements’ positive modifier to one of your skill checks. The Bigger They Are (Ex): A Mastermind must choose an enemy just affected by Dangerous Tongue. That creature can’t add any ability score or size bonus to his attack rolls for 1 round. Keeping this Talent requires a move action. *The Tongue is Quicker than the Sword (Ex): A Mastermind can use Dangerous Tongue once per day as an immediate action. Requisite: Mastermind of 4th level. Trapfinding (Ex): A Mastermind adds 1/2 his level (minimum 1) to Perception checks made to locate traps and to Disable Device checks. A Mastermind can use Disable Device to disarm magical traps. True Philosopher (SP): The Mastermind is a grand master of the natural laws of the world. Even though not a true spellcaster, he knows enough secrets and mysteries to undo the works of extraplanar entities. Once per day, a Mastermind can cast break enchantment or a special version of dismissal as a spell-like ability, as a wizard of the same level. This version of dismissal also works against creatures of the undead or fey types. Requisite: Mastermind of 9th level. Uncanny Dodge (Ex): A sharp mind is always alert. A Mastermind cannot be caught flat-footed, nor does she lose her Dex bonus to AC if the attacker is invisible. She still loses her Dexterity bonus to AC if immobilized. 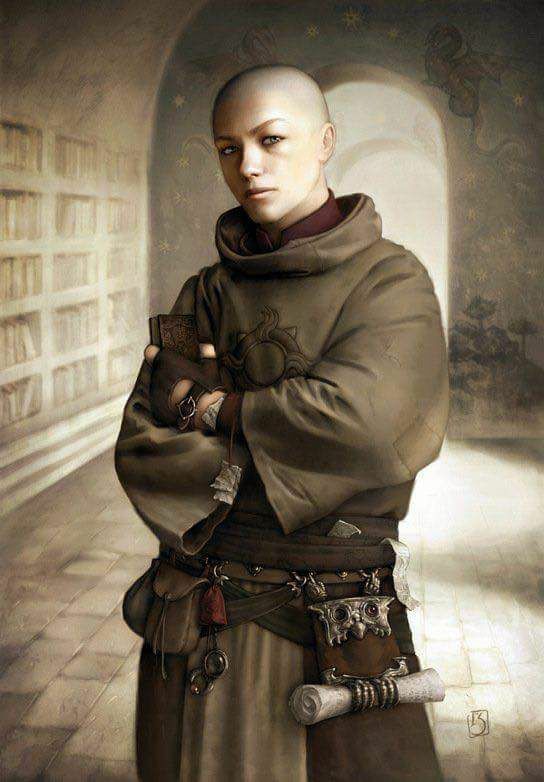 A Mastermind with this ability can still lose her Dexterity bonus to AC if an opponent successfully uses the feint action (see Combat) against her. If the Mastermind already has uncanny dodge from a different class, she automatically gains improved uncanny dodge (see below) instead. Requisite: Mastermind of 4th level. Uncanny Physician (Ex): This Talent works like Healer, but the Mastermind can now spend 5 points to change the Exhausted condition to merely Fatigued (which can be remove by spending more 5 points). He can also spend 5 points of the Heal check to remove 1 Negative Level. If used until one hour after combat, the Mastermind can also restore ability damage (spending 3 points for every 1 ability score healed) or heal crippling wounds like blindness or movement penalties by spending 5 points (the GM has the final word). Using Uncanny Physician usually requires 1 hour of treatment or more. Requisite: Healer. Voices of the Streets (Ex): Once per day, while in any settlement, a Mastermind can make a Gather Information (Diplomacy) check as a 1 minute action. Just by standing in the streets and catching the local talks the Mastermind can deduce the information he needs. - The next attempt to break the object gains a bonus equal to the Mastermind’s level + Intelligence modifier. Both of the effects above can be inflicted by the Mastermind herself or by a properly instructed ally or even a crew operating a siege weapon (treat this as a special aid another action). Wealth (Ex): A Mastermind always has a minimum amount of gold or valuables banked through the civilized world, which he can reach at cities or caravan points within a few hours. In game terms, he can live in most major cities and important trade points with a Wealthy cost of living (or acquires 100 GP per month). At 9th level, this monthly stipends is enough to keep an Extravagant cost of living (or 1.000 GP per month). The GM is free to reduce these values to half or less if the player attempts to use this Talent as short-cut to accumulate magic items. Words Deep (Ex): This Talent works like Manipulator, except each condition lasts for 1 round per d6 of stress damage. Requisite: Manipulator, Mastermind of 8th level.